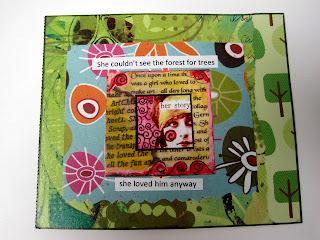 The challenge for this week at Inspiration Avenue is "The Forest for the Trees". There can be so many interpretations for this theme. 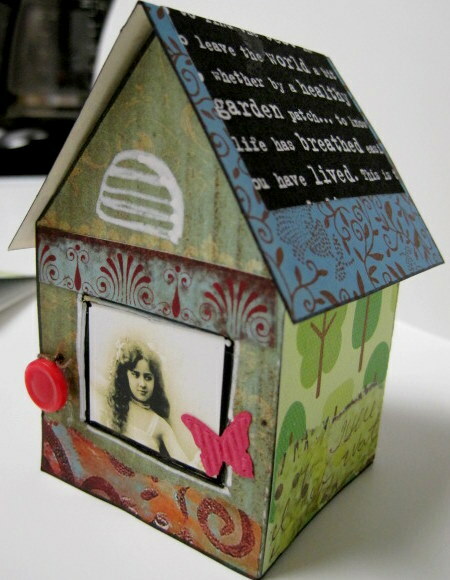 Last week, I made a Paper House greeting card. 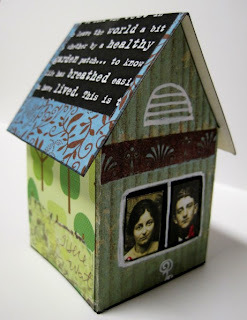 This week's theme gave me not only a great idea for my second Paper House card but a different twist on this week's challenge. I hope you like it! Every once in awhile, we lose our way.... and angels find us. Angels are often friends, family and sometimes strangers who are sent to cross our path.. 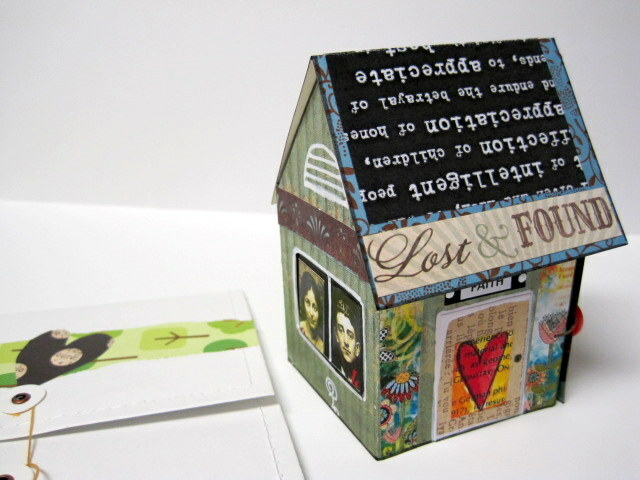 The roof top is the card on the underside and the house is tied together on the side by a string that is attached and a button. 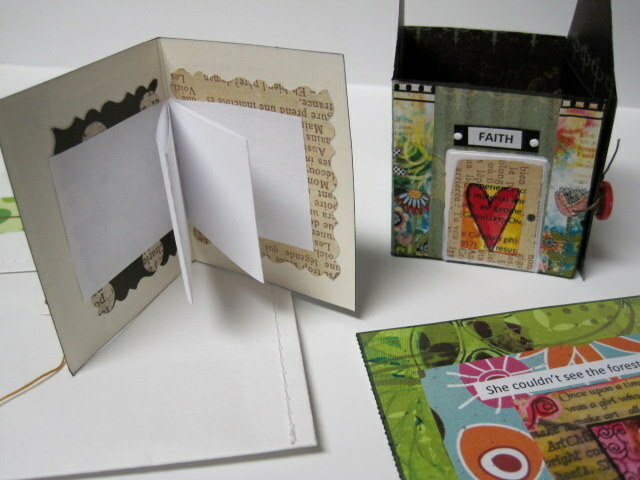 I like to put designs inside the card as well,.... a hidden treat. You can put our own treats inside the house as an added gift. Each Paper House card comes with a re-purposed envelope of my choosing for mailing...I promise it will be cute! 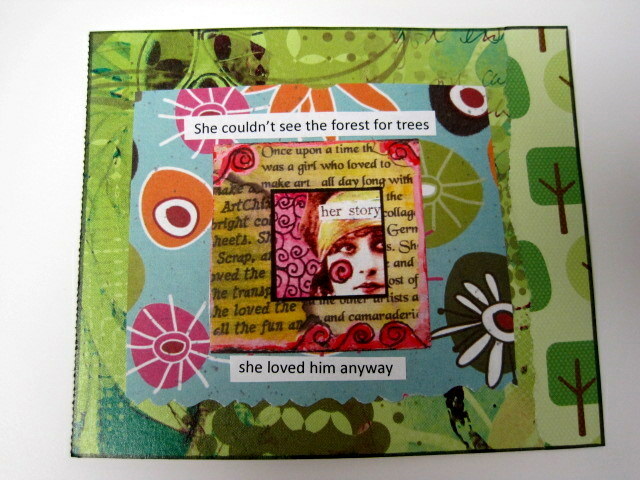 She couldn't see the forest for the trees, but she loved him anyway. 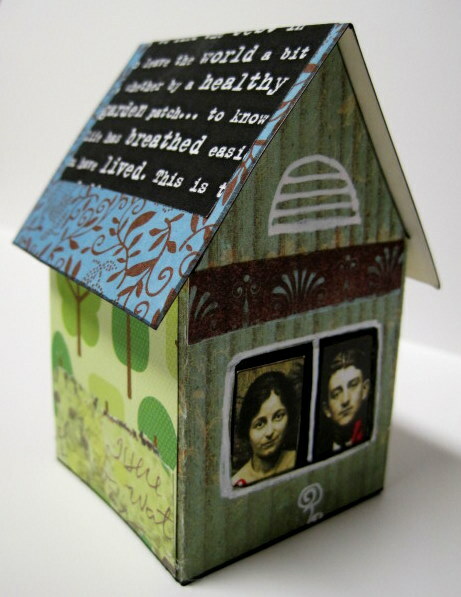 Paper House cards can be purchased in my Etsy shop. If you purchase this particular card in my shop, just say you saw it on Inspiration Avenue and the buyer will also receive the college for this theme challenge as well. 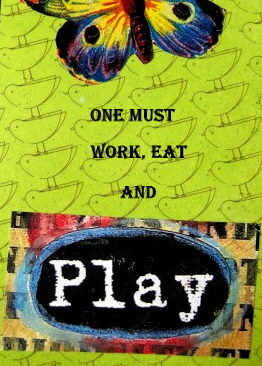 Thank you for stopping by and remember, "One must work, eat and play" so come on over and play..join us in the next challenge! Roll over the title of this post to see more challenge interpretations of this theme! This is Fabulous! I love your take on the theme and the incredible card house you have made. The house is such a unique idea and would be a very thoughtful gift. The card inside the roof is so cleaver. The designs on each side are so creative. I just love your art and this is just awesome. I love this. I love the word faith on your house. 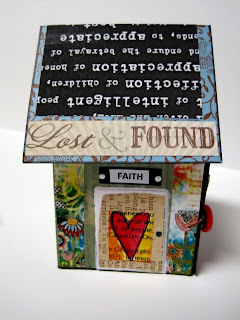 This reminds me of when I was inspired to do my 'Forgotten Faith' series of collage tags. We may feel lost, we may forget our angels sometimes, but we are never lost to them and they never forget us. Great stuff you did!!! Another great house. I have a house template from some crafty magazine but haven't used it yet. You have inspired me. I am really enjoying these darling houses, Kim. This one, along with the accompanying collage, is perfect for the IA challenge, too. Great interpretation of the theme and so darn creative! What an excellent idea for a card - they look like they each take SO much time to create! Fabulous. These houses you make are just so special. What a clever lass. This is so neat! Such a great idea! Thanx for playing! 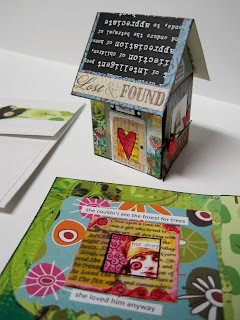 LOVE your little houses Kim - so unusual and all amazing! I love houses, and this one is so cute and beautiful at the same time. What a wonderful work! Great idea to have the card as the roof of the house. I like this very much. Wow, Kim, you've really outdone yourself with this! Such an amazing idea- I LOVE it! I love your paper house card - gorgeous!! And such a clever take on this week's theme. You put so much love and thought into your art making it a feast for the imagination & the heart. Fab! I love your new houses! You are just sooo creative, always something new and exciting! Sorry I have been MIA...I am just beginning to catch up. Haave a great week, Kim!